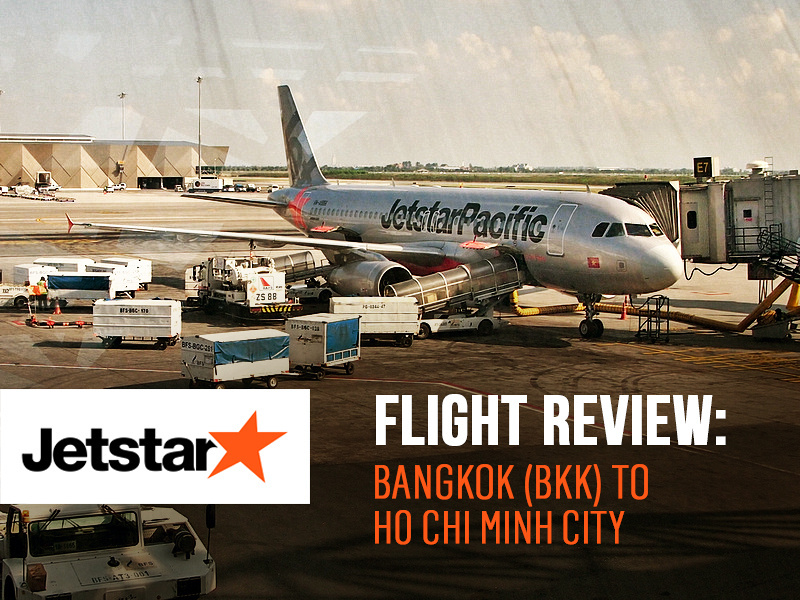 I flew with Jetstar Pacific from Bangkok to Saigon. I compared airfares online with Skyscanner and picked the flight for the combination of its price and time during the day. Jetstar is a low cost airline from Australia that was set up by Qantas. Jetstar Pacific is the Vietnamese based operation, with Vietnam Airlines holding 70 percent and the Qantas Group holding 30 percent of ownership. The Vietnamese operation was formerly known as Pacific Airlines, then Qantas bought the share of the business and renamed it into its own brand. The flight cost 1804 THB, which works out to about $50 USD. An amazing deal given that I booked it less than a week before flying. When booking on the Jetstar site they do old trick of showing you a sale price, then adding on all the fees and extras after. This is such an annoying practice and one I hope is banned. For a comparison my previous flight with Thai Lion Air show most of the fees upfront. Now here come all the fees and extras. Like I said it was only fifty bucks so I’m not complaining about the price, but all these fees not added to the base fare is just a stupid parlour trick to show a special sale price. I did a dummy booking on the Jetstar Australia site and see that they the fees are shown, because they are required to by Australian law. As a low cost airline you don’t earn points on flights, but there is an option to buy points for Qantas when booking online. I didn’t stop to work out if it was worth buying points, but my guess would be no. Jetstar Pacific fly to Bangkok Suvarnabhumi Airport. Most low cost airlines operate out of the old Bangkok airport (Don Muang). As Jetstar Pacific connect with Qantas flights they operate out of BKK, which is my preferred Bangkok airport. Onboard it is a no frills service, so no inflight entertainment or free food or drinks. Food and drinks are available for purchase. 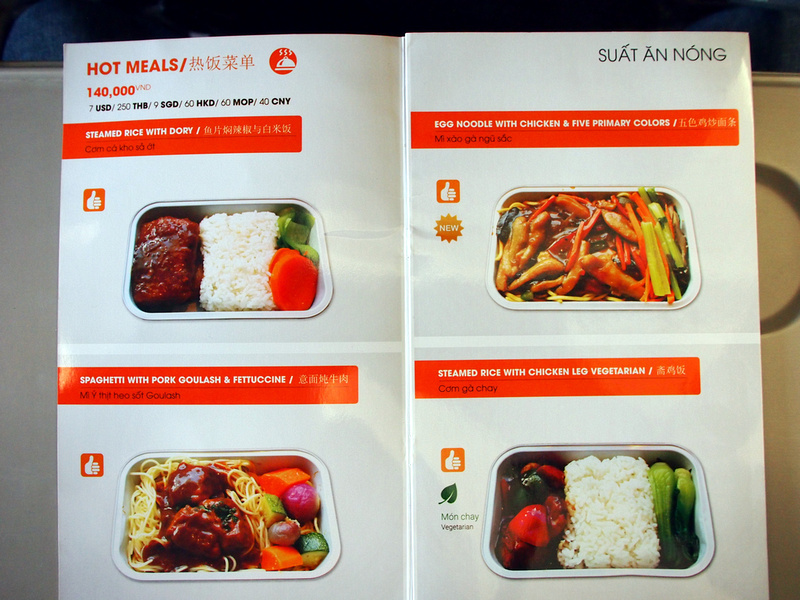 A hot meal is $7 USD. 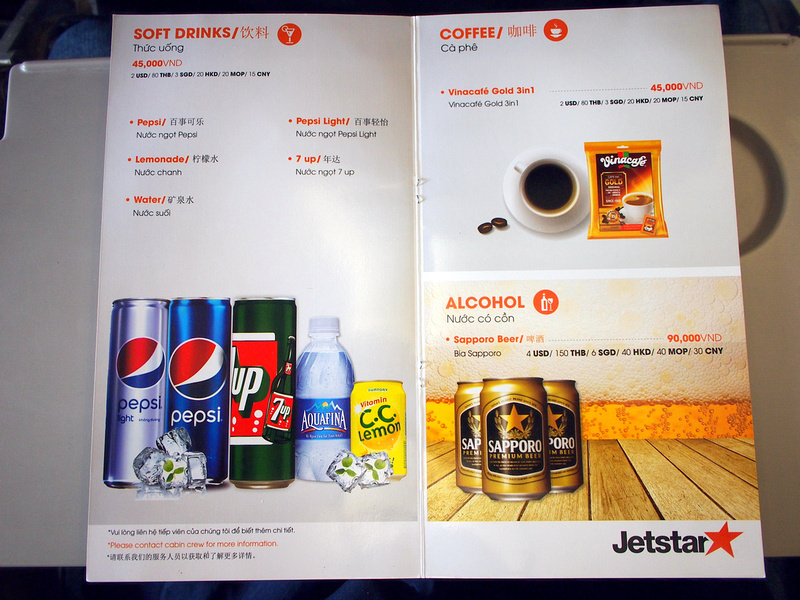 Soft drinks are available for $2 USD. The flight arrived on time at Tan Son Nhat International Airport. We disembarked from the tarmac and bussed the terminal building. This is becoming increasingly common at SGN as the airport is running out of space. Overall it was a comfortable flight and a good budget option for flying between Bangkok and Saigon.